New song with Barry Gibb featuring Michael Jackson. It’s so beautiful. Wow I can hardly believe that it has been 2 years since the death of Michael Jackson. Time has flown so quick. I can clearly remember that tragic night when I recieved a phone call telling me to turn on the news because Michael’s had a heart attack. I ran to the tele and sure enough there was the headlines Michael Jackson’s had a heart attack. My heart was pumping, I was so nervous I could hardly think…Then the headlines changed, Michael Jackson Dead! I gasped and my cousin (on the phone) screamed and hung up the phone. I couldn’t believe my eyes, I just cried and cried. Around 20 minutes later I started getting phone calls from my friends, asking me if I had heard the news and that they were so sorry. I’m such a big Michael fan so when people who I knew heard the news, they instantly thought of me. I’ve been a fan for around 15 years, I stuck with him through the good and bad times. He has brought so much joy into my life and so many others. It just annoys me a bit that people are respecting him now that he is dead, where were they before? Well at least I can say I was there and I got to experience his magic. I feel so lucky that I’ve seen Michael twice, once at the World Music Awards and the other at the O2. 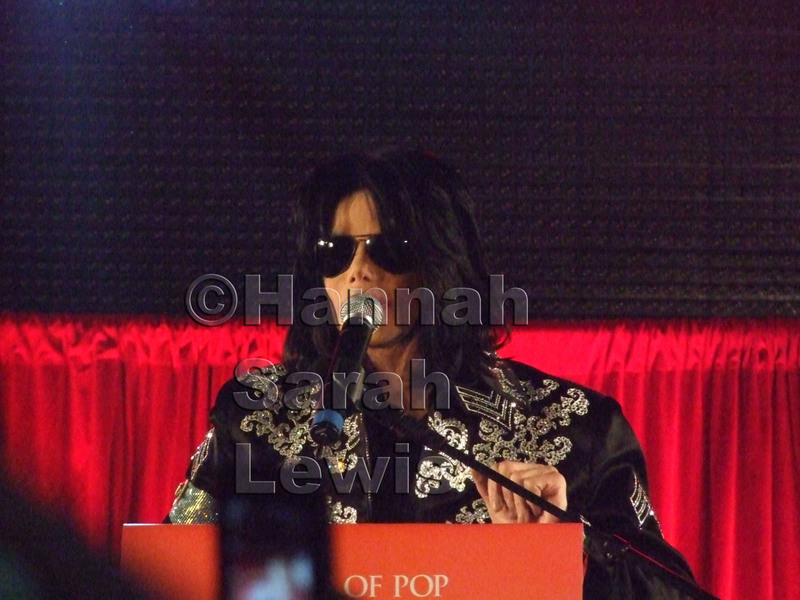 Above is my own photograph taken from my camera of Michael at the O2. 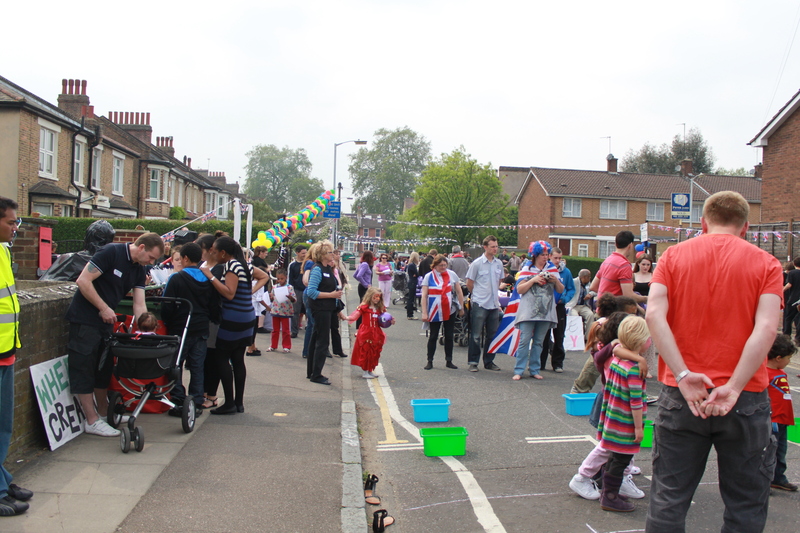 I know there are a lot of photographs of this occasion, but this one is special to me because it’s mine. I have no idea what has come over me but, for the past 5 months I have been completely obsessed with Prince. From listening to his music I have realised that he is really talented and I don’t think that a lot of people know that he writes and composes his own music. He is pure genius! 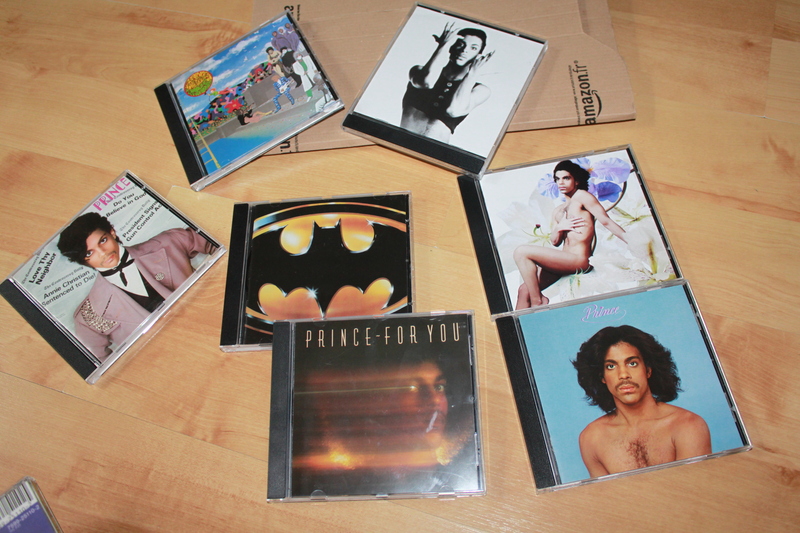 A few days ago I ordered some of Prince’s albums from Amazon, I have some already but I really wanted to hear a lot more of his material. So I just did it, and ordered 8 albums and 1 DVD. I was strongly criticised by some friends telling me it’s a complete waste of money and obviously I have nothing better to spend it on. I just laughed it off and asked them to listen to some of his music, they quickly refused lol. I never download, I just don’t like the idea of it. 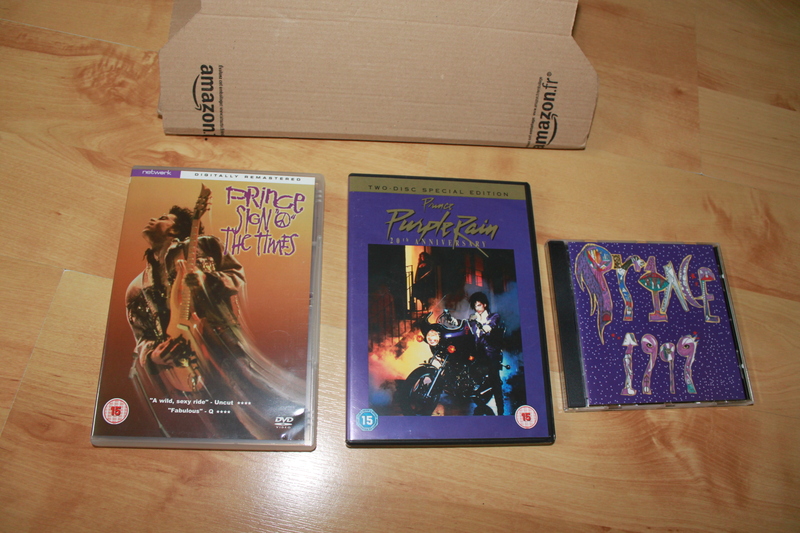 I prefer to have the CD or the film as an original hard copy, I think it might be because I like collecting things. I still collect and listen to records, I’m just really ‘old school’. 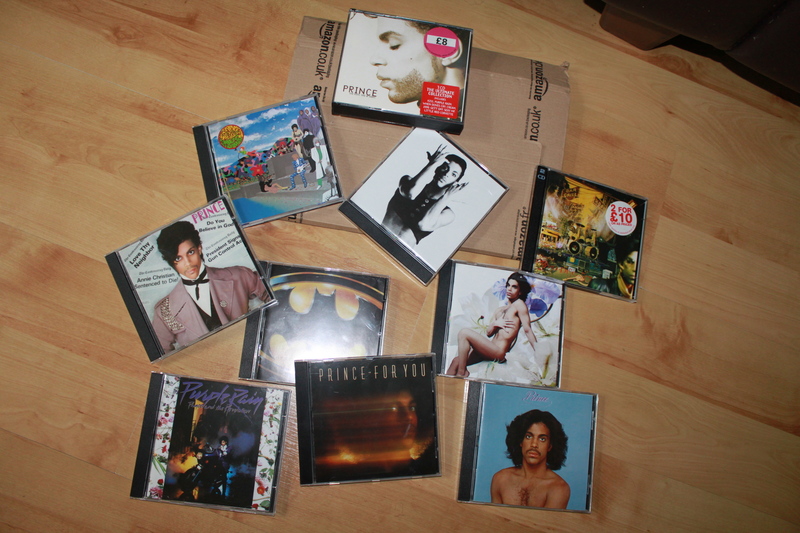 All CD’s together apart from 1999 album (below) which arrived separate from the rest today. 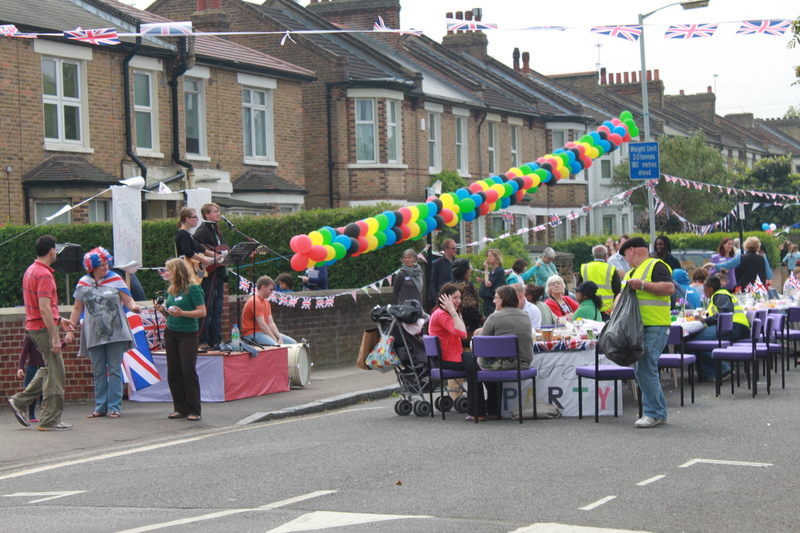 To celebrate William and Kate’s wedding, my road had a street party which was absolutely amazing, it was much better then I thought it would’ve been. 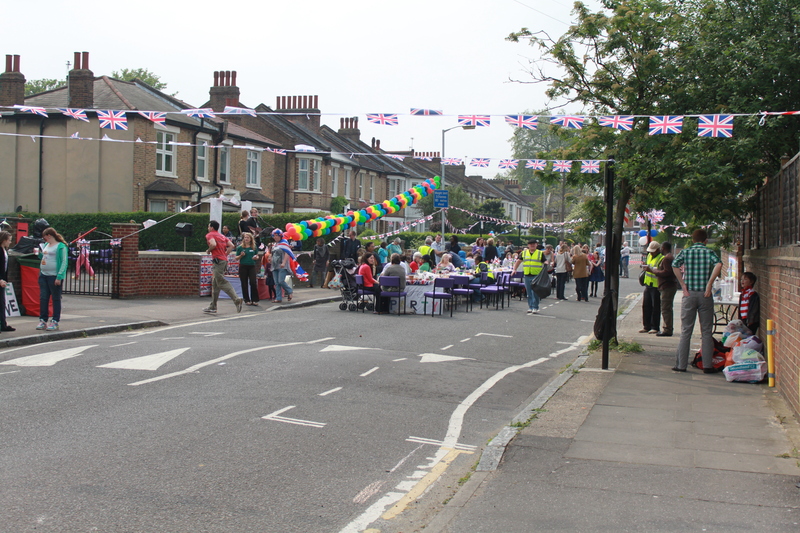 It was such a wonderful atmosphere, the food was great, the people were fun and friendly and it was just a great chance to meet people and to join in the celebrations. 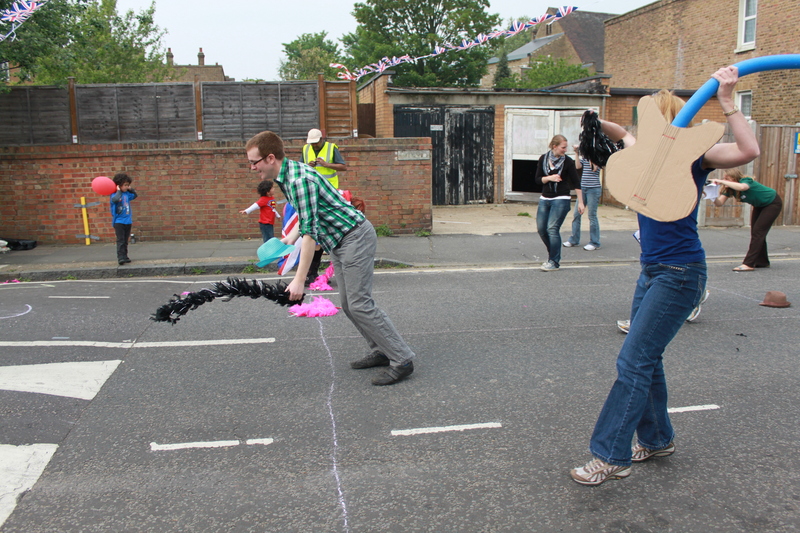 Fun games that everyone got involved in. 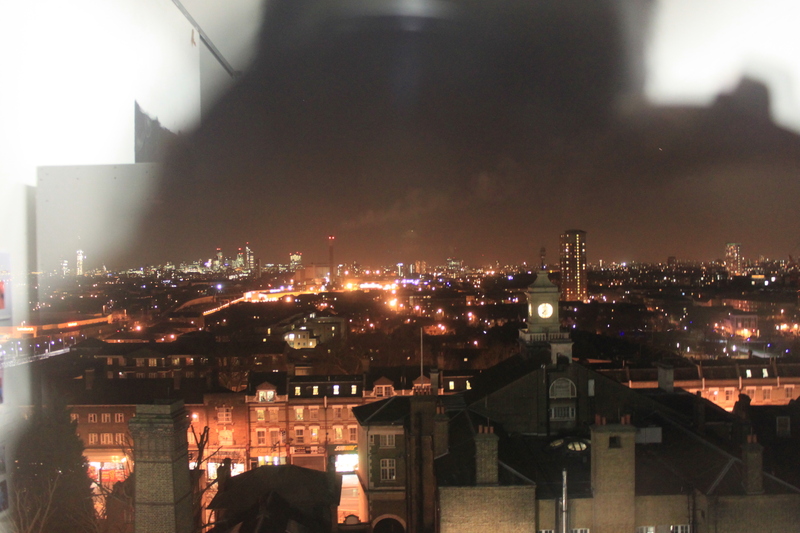 This is the view that I took last night from my studio. I can see this far. Has anyone noticed in the film “Moonwalker” with Michael Jackson, when Joe pesci is about to shoot the kids with his big laser and then Michael appears and destroys it. Michael’s face appears under the plane when you hear him shout! 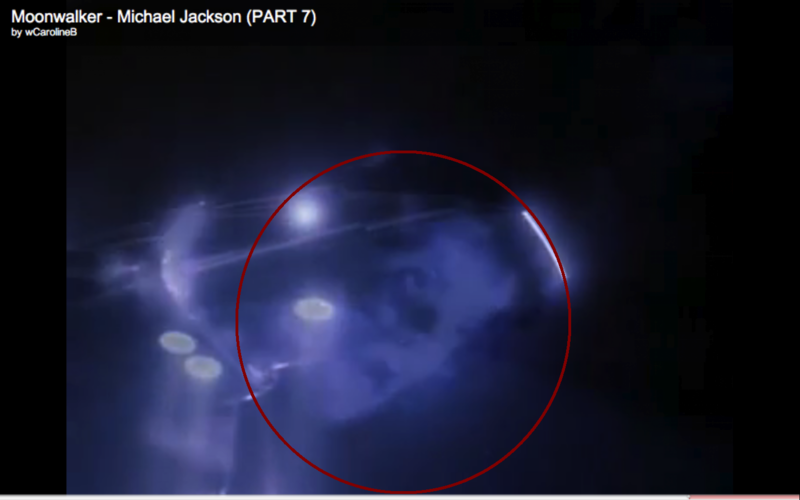 I was completely amazed, I’ve been watching moonwalker with my family for around 15 years and I have never noticed it. Well today we was all watching it as a family and I was the first to spot it and then we literally rewinded it like 15 times. My other cousins who’ve been watching “Moonwalker” for around 20 years were gobsmacked. Has anyone else seen it? Here’s a clip from youtube, the face appears from 09:30. Below is a screen shot that I took. I couldn’t do much art work because I am still waiting for the window, so I decided to take a trip up to this amazing record store where they have everything from records (vinyl’s) to video cassettes. I hadn’t been there before so I was thoroughly looking forward to the trip. The first thing I thought about buying when I arrived at the store was some Michael Jackson records. I don’t think that I have mentioned this before, but I am a big Michael Jackson fan and I love to collect everything about him. Sort of like a memorabilia. I purposely withdrew £10 to go along with my £5 because I’d usually go out of control and end up buying everything there. And right now I need the money, so I prefer to buy things gradually. I have to follow this rule strictly because near the end of last year, I went to stay with one of my friends in Southampton. There was a record store there and I brought lots of vinyl’s without considered the amount of money that I would actually need for my stay. Literally by the end of the week I had no money, and had to scrape money together for my train from Waterloo station back home. 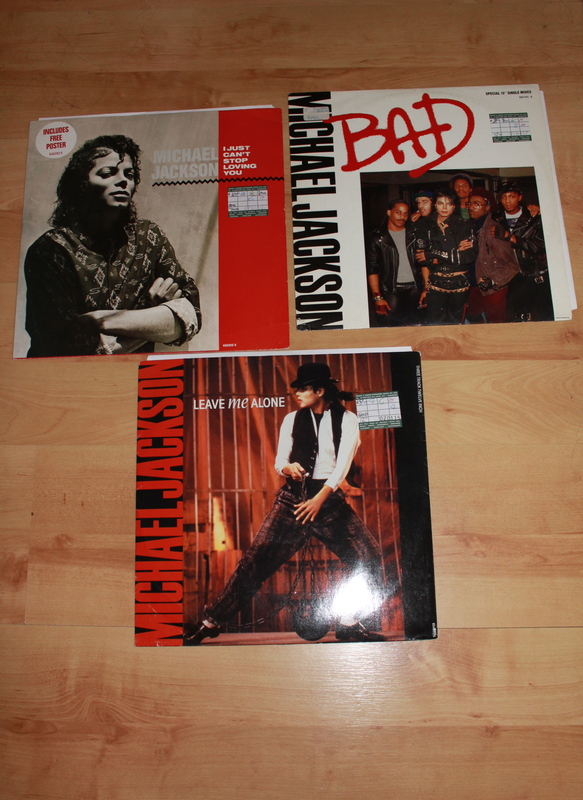 I was so happy when I saw the records, they were even in its own special section called “Jackson” so that made it very easy for me to find them. 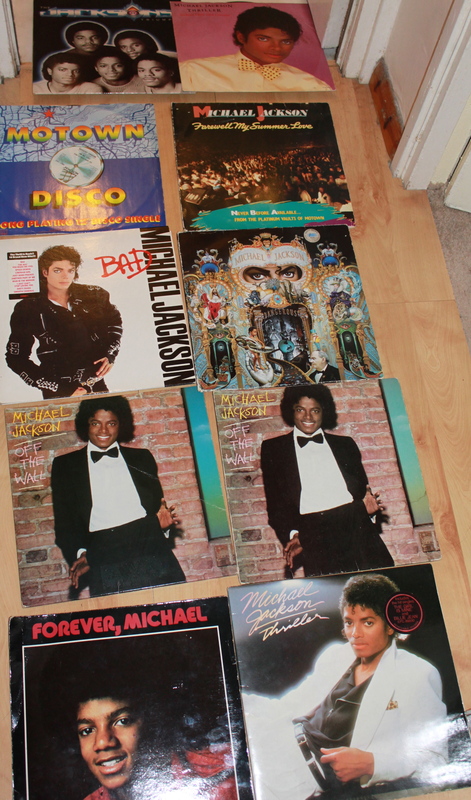 Next I’m buying some more of The Jacksons records. Something really embarrassing happened to me a couple of days ago. I brought a packet of crisps at the shop because I was really hungry and I hadn’t eaten anything since breakfast and it now was 5 o’clock in the evening. I was walking along the street eating the crisps and enjoying them thoroughly when all of a sudden a gust of wind came along and blew them out of my hands into the road. I didn’t no what do to. I felt so uncomfortable as if the whole world was watching me. 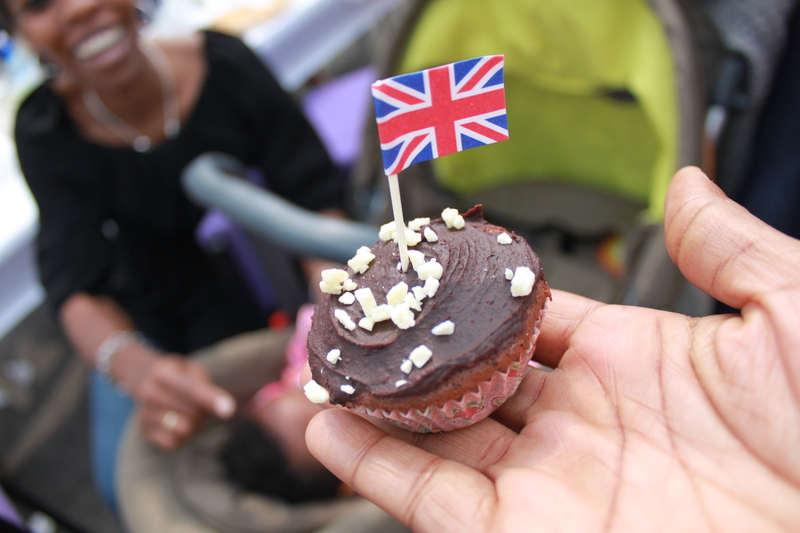 I didn’t want to stand there looking miserable as if I really wanted to eat them so I just walked on. 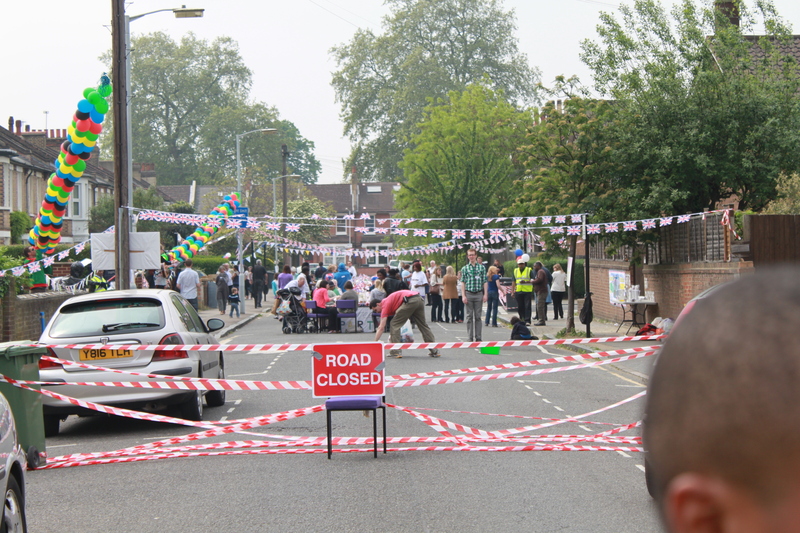 How embarrassing! Writing this I can do nothing but laugh, its hilarious.